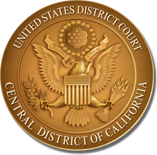 The United States District Court, Central District of California, has renewed its Pilot Project for the Direct Assignment of Civil Cases to Magistrate Judges for an additional two years, with modifications to the deadlines by which the parties may voluntarily consent to the magistrate judge’s exercise of civil jurisdiction. The Program provides for the direct assignment of civil cases to magistrate judges, as authorized by General Order No. 12-02. The modified deadlines are reflected in amendments to Local Rules 73-2.4.1, 73-2.4.2, and 73-2.5, which became effective June 1, 2011. Under the Program, participating magistrate judges are included in the pool of judicial officers for random selection as the assigned judge for all civil cases except class actions, death penalty habeas corpus petitions, bankruptcy appeals or bankruptcy withdrawal of reference cases, cases referred to a magistrate judge for a Report and Recommendation, and cases in which a request for a temporary restraining order or motion for preliminary injunction is presented when the action is initiated. Most of the magistrate judges are participating in the Program. In cases assigned to a magistrate judge under the Program, the Clerk shall provide a Notice and a Statement of Consent form to the filing party, who shall serve the forms on each party served in the action. If all parties consent, the case shall remain assigned to the magistrate judge for all purposes, including a jury trial or non-jury trial, the entry of final judgment, and all post-trial motions, pursuant to the provisions of 28 U.S.C. § 636(c) and Federal Rule of Civil Procedure 73. Under the modified deadlines set forth in amended Local Rules 73-2.4.1 and 73-2.4.2, if any defendant does not consent within 42 days after service of the summons and complaint upon that defendant, or if the plaintiff has not filed a statement of consent within 42 days after service upon the first-served defendant, the case shall be randomly reassigned to a district judge. Parties are advised that they are free to withhold consent without adverse substantive consequences. If you have any questions about the Program, you may contact the Civil Consent Case Coordinator by telephone at 213-894-1871 or by e-mail at consentcoordinator@cacd.uscourts.gov.